In late 2011 Mainspring requested bids on 44 acres of its 101-acre Welch Farm property in Cherokee County and recommended that farm management plans be included with the bids. After reviewing the bids and plans received, Mainspring’s Board accepted the offer from the Davis siblings, and in April 2012, the sale to Davis Farms was finalized. 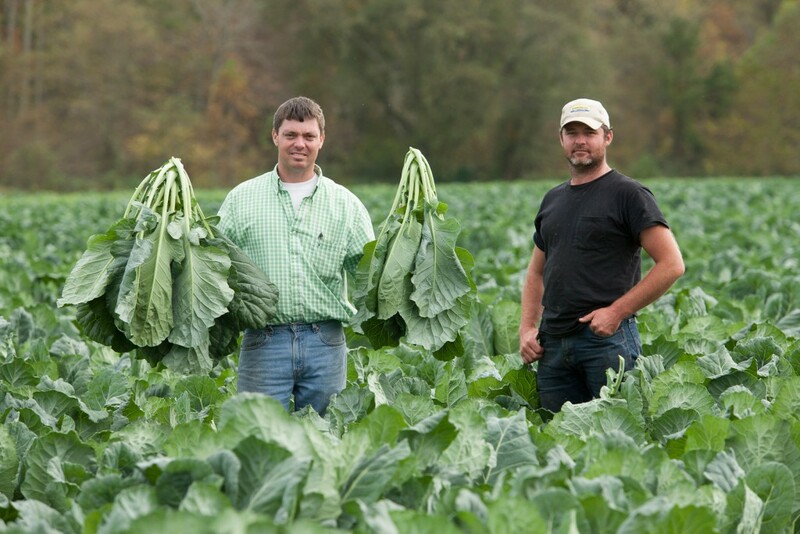 Almost before the ink was dry on the paperwork the rich land was planted in collards, turnips and mustard greens, favorite crops for brothers Tim and Mike Davis. The Davis family is one of the oldest farm families in Cherokee County, and in fact can trace their roots to Native American ancestry. Davis Brothers Farms of Culberson is one of the major growers in southwestern North Carolina, supplying Ingles and other supermarkets with produce.